ePublishing Knowledge BaseePublishing Knowledge BaseePublishing Knowledge Base PollsHow do I add or edit questions and answers in a poll? Open the poll you'd like to add a question to or edit. Within the poll, select Question under Edit >. To add a question, click on the plus sign. Zoom: To add a question, click on the plus sign. Type your Question in "New Question Title." Add a teaser or body to explain or add detail to the question, if desired. Zoom: Add a teaser or body to explain or add detail to the question, if desired. 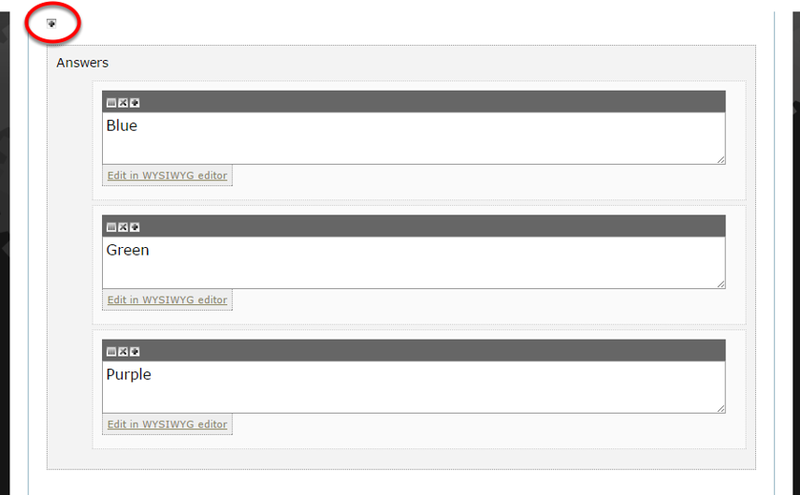 Users can use the WYSIWYG editor or input straight HTML into these boxes. The Teaser and Body are not frequently used. Add answer choices for your poll by clicking the "+" icon (circled) under the Body. Zoom: Add answer choices for your poll by clicking the &quot;+&quot; icon (circled) under the Body. Type your first answer choice in the box. Zoom: Type your first answer choice in the box. After each choice, click the "+" icon again (circled) to add another. 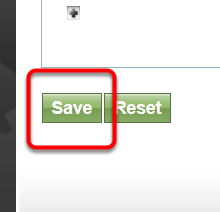 Zoom: After each choice, click the &quot;+&quot; icon again (circled) to add another. 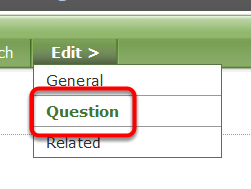 When you are finished with your first question, click Save or add another question by clicking the "+" icon at the top of the page or next to the previous question. 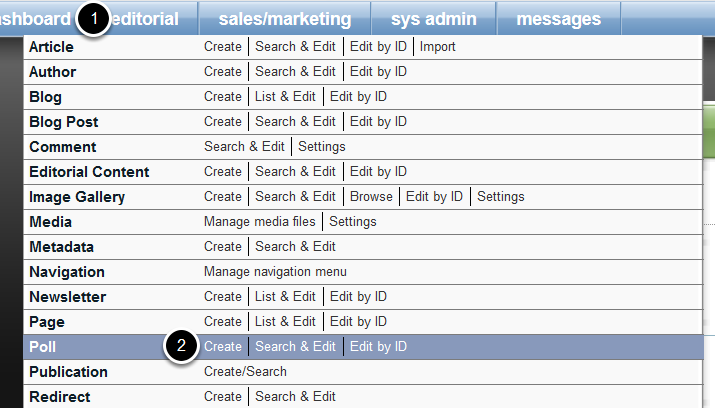 Use the icons next to the top of the question to reorder, minimize, delete or add questions. Zoom: Use the icons next to the top of the question to reorder, minimize, delete or add questions. Reorder questions by clicking and dragging on this icon. 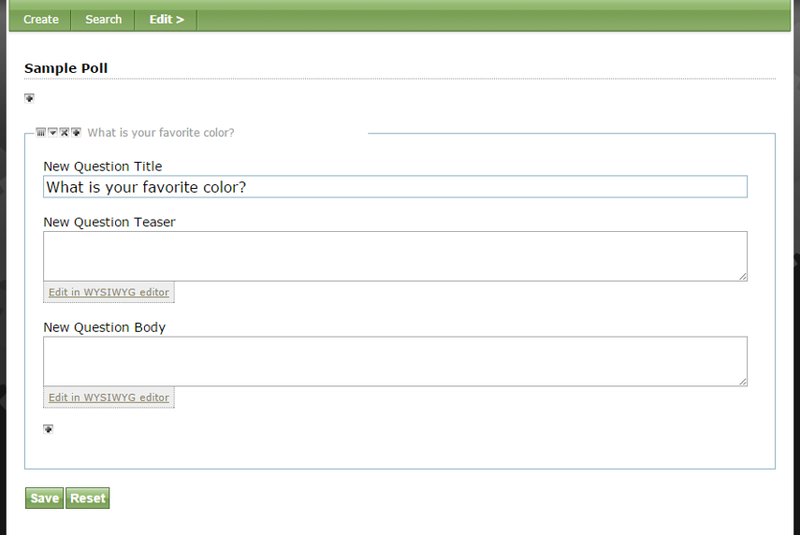 Click this arrow to minimize the question in the Poll Manager. Click the "x" to remove the question. 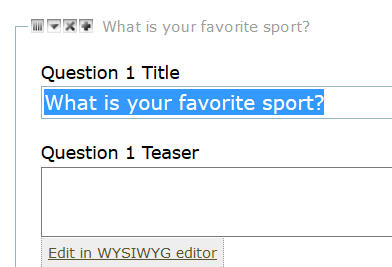 Click the "+" to add a question. To edit an existing poll question, click the second icon (circled below) next to the question. Prev: How do I duplicate a poll? Next: How do I change the order of questions in a poll?